Jen, performed by Henson himself, is a Gelfling, a dying race of humanoid creatures that sort of look like the Olsen twins. He was raised and is guided by the gentle Mystics, a dying race of manatee-like, slow-moving hippie types. The cruel Skeksis are a race, also dying, of monsters resembling vultures with crocodile features and a Victorian style of dress. There are many other creatures, some only on screen for a moment. 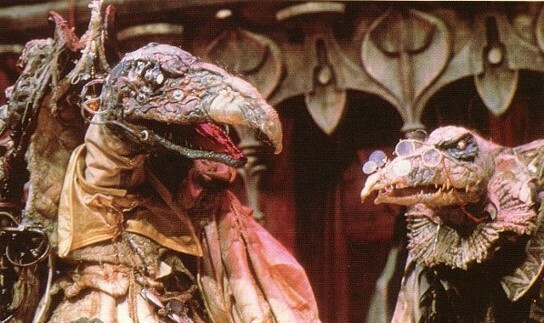 The Skeksis, an evil vulture-like race, are the villains of THE DARK CRYSTAL. Sony Pictures Home Entertainment. It took a crew of around 60 people to make all the puppets and the complicated mechanisms used to control them. In addition to the regular “Muppeteers,” an entire cast of performance artists (including dancers and acrobats) was recruited to bring the characters to life. Special sets were designed to allow the actors room to perform as well as control their puppets, some of which took three people to operate. All told, it took over five years to make THE DARK CRYSTAL. 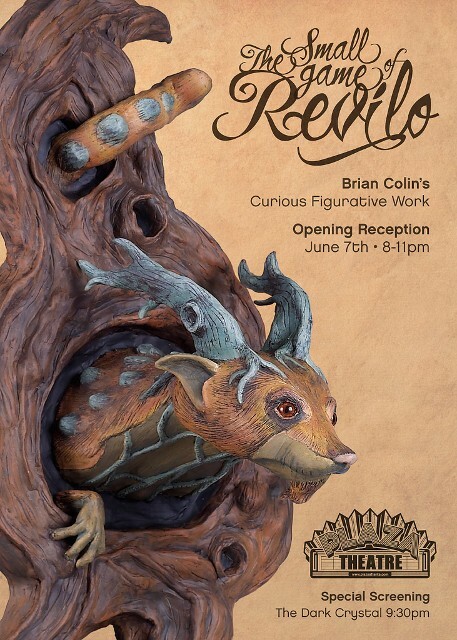 Henson enlisted British illustrator Brian Froud early on as the film’s conceptual designer to create the look of his detailed fantasy world and its inhabitants. A voiceover succinctly describes the film’s setting: “Another world, another time – in the age of wonder.” Taken slightly less literally, this is also a fitting description for the era of its release nearly 30 years ago. With digital effects the standard of the day, bemoaning the disappearance of puppetry and animatronics from blockbuster movies is like preaching the “warmth” of vinyl. But there seems to be something to that argument. Maybe it’s in the nuances of the characters’ expressions and movement or the laws of perspective, but many movies seem less tangible or “real” in the CGI era. E.T. was released the same year as THE DARK CRYSTAL and soon became the biggest movie of its time. Now AVATAR holds that title. I think I know what E.T. feels like to the touch (warm, leathery but soft when healthy; cold, dry and ashy when ill), but not the non-humans in AVATAR (rubber?). It’s why the second STAR WARS trilogy underwhelmed so many fans of the first three, at least partially. * But thankfully it was way back “in the age of wonder” of 1982 when Henson released his masterpiece. 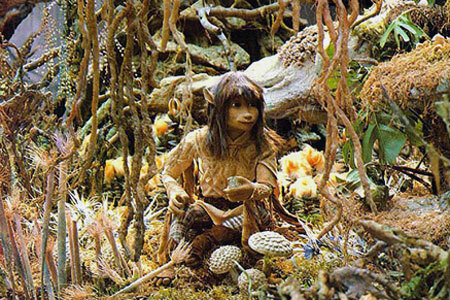 *Speaking of STAR WARS, see how many similarities you can spot in THE DARK CRYSTAL. 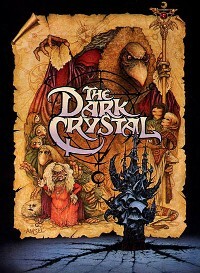 And don’t forget to read ATLRetro’s interview with LEGENDS OF THE DARK CRYSTAL artist Heidi Arnhold here.